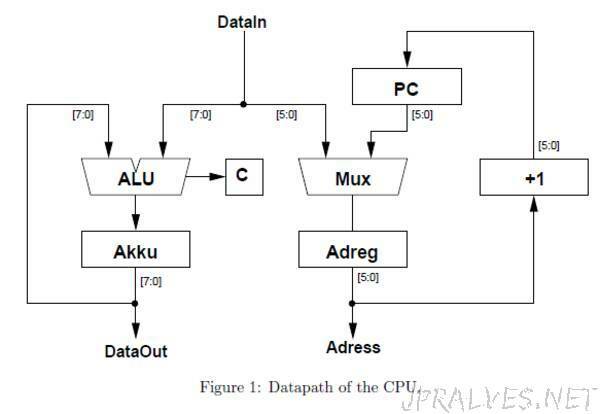 “MCPU is a minimal cpu aimed to fit into a 32 Macrocell CPLD - one of the smallest available programmable logic devices. While this CPU is not powerful enough for real world applications it has proven itself as a valuable educational tool. The source code is just a single page and easily understood. Both VHDL and Verilog versions are supplied. The package comes with assembler, emulator and extensive documentation.